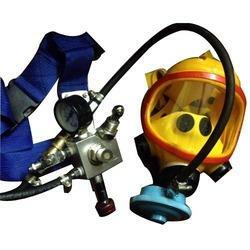 Having a definite quality management system, we are regarded as the noteworthy distributor, trader and supplier of an extensive gamut of Breathing Apparatus. The offered range is meticulously tested on various quality parameters and is widely appreciated among our clients. Provided range is manufactured by utilizing optimum quality raw material and the latest technology by our reliable vendors. In line with international set standard we provide the entire range in various customized options and at affordable prices.